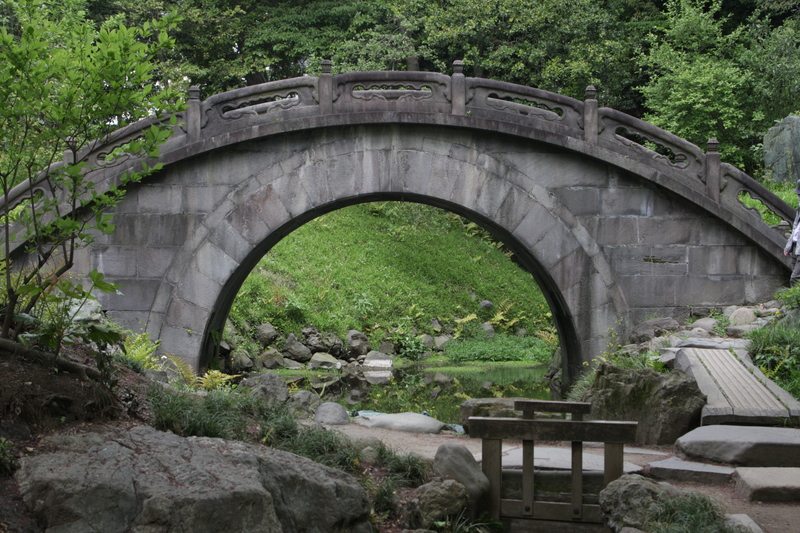 This is yet another scene from Korakuen gardens. 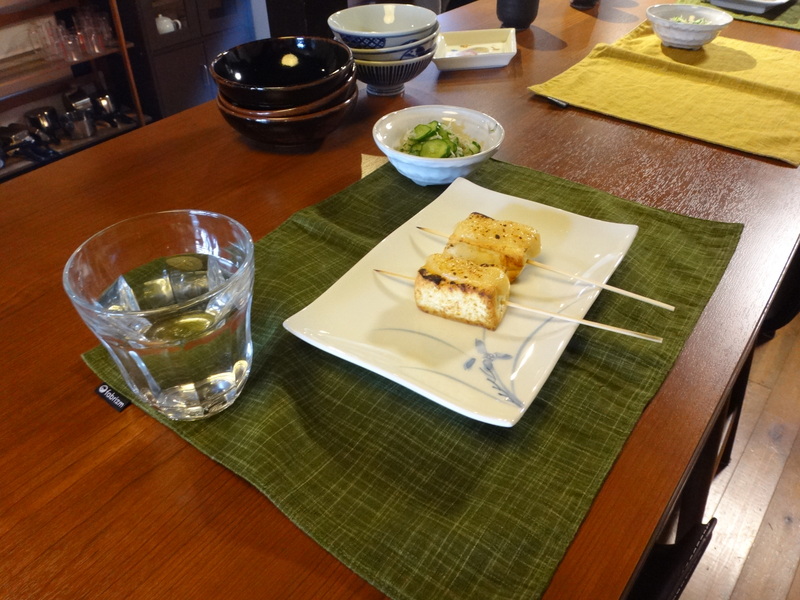 It is meant to recreate the rice paddies (the green you see are iris leaves!). 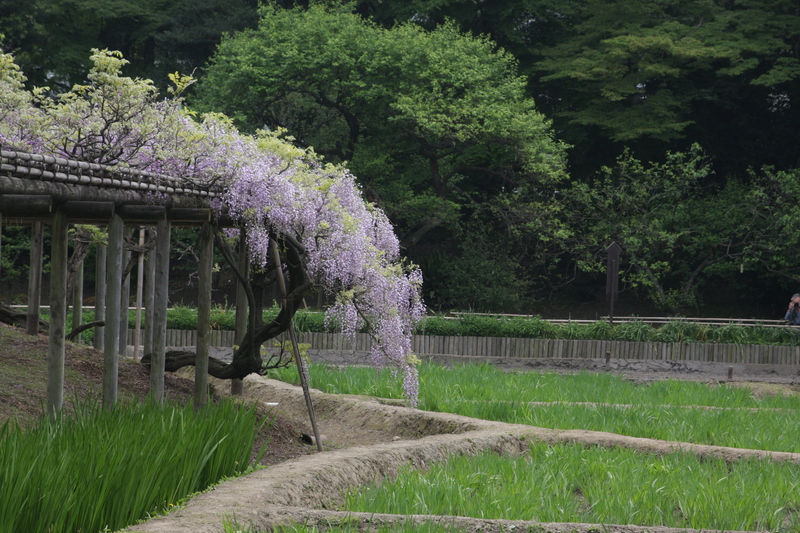 I like the shot because of the flow of the wisteria over the bent lines of the “rice paddies”. That and the pale lavendar colour over the bright vivid green. No photoshopping necessary when you take time with the shot! This could be one of any number of flowers, anywhere in the world. That’s not the point in macro photography. The point is to look at things from a different point of view. When was the last time you looked a flower this closely? To see that the pollen is powder. To see the delicate almost translucency of the innermost petals. 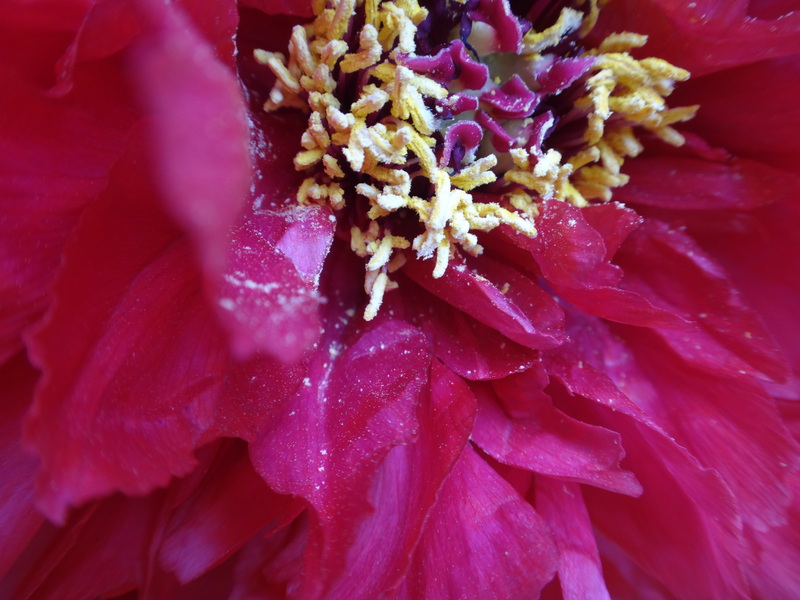 The texture of the stamens and pistils? I like this photo because the details are so compelling that there is something different to notice everytime I look at it. But it’s just a flower. I like this photo….just because. In some cases, photos are enjoyable or noteceable because of what their subject matter. Personally, I couldn’t get the best angle I wanted to, but I did get the sun dappling over these large, lovely smooth boulders which were the stepping stones over the shallow stream in the park. 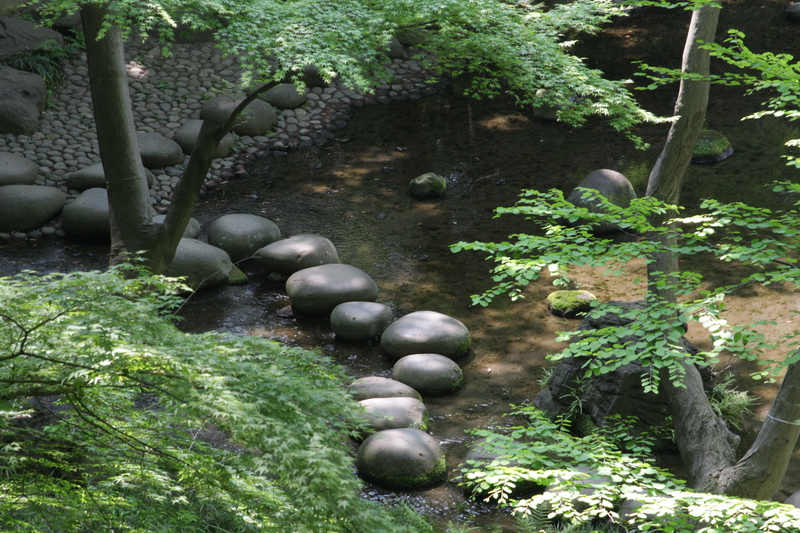 I thought the use of the stones gave the stream a wonderful fairy tale setting! So there was this park that wasn’t in any guidebook online I could find; you really have to be searching for it specificaly. It’s called Koraku park near Korakuen station or Koishikawa Korakuen Gardens. It is actually designated a historical asset and of special historical significance. Each scene in the park is meant to recreate a scene from somewhere in Japan. The red bridge immediately draws your eye. 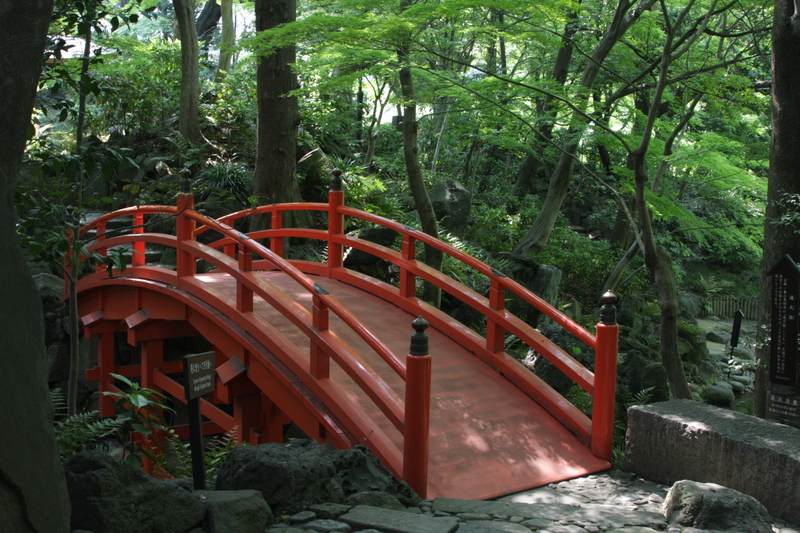 It is a recreation of the Tsutenkyo Bridge from the Kyoto temple Tofukuji. Many of the views of the bridge are partially obscured from other viewpoints and looking up at this bridge didn’t really highlight anything so this is my favourite view that shows the red popping amidst the green, but also gives some movement to the picture as it leads your eye off to the other side. The full moon bridge is named because when the river below is high, you get a reflection of a full moon from the bridge’s arch. This is actually recreating Seiko Park from China. I tried photographing it from all angles, similar to the red bridge above, but in this case, simple was best. Head on to show the gracefulness of the lines of the bridge. 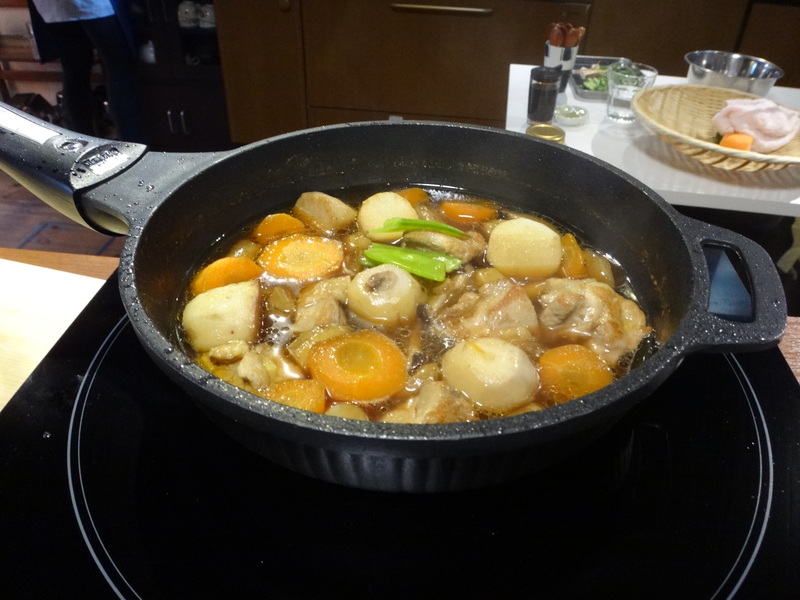 And we also made Japanese spring chicken stew that is not so common in North America. 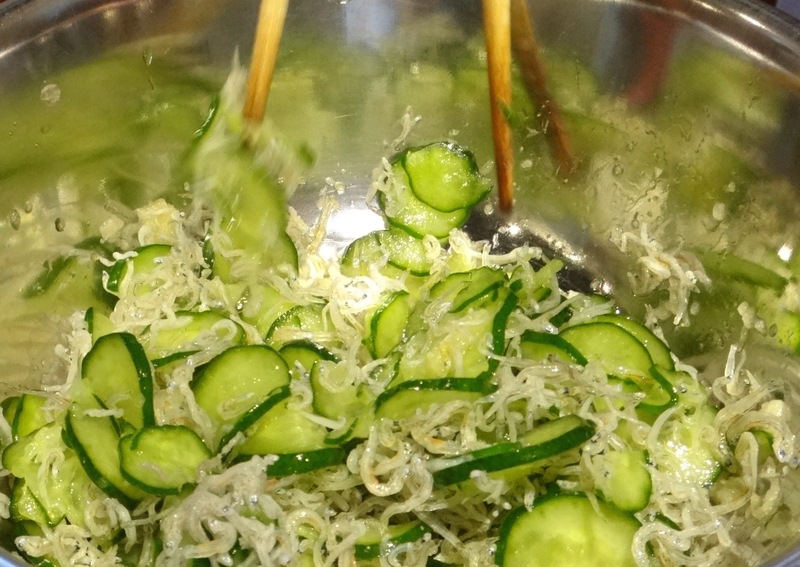 And lastly, interesting combinations of local crunchy cucumbers and the ever present dried fish! 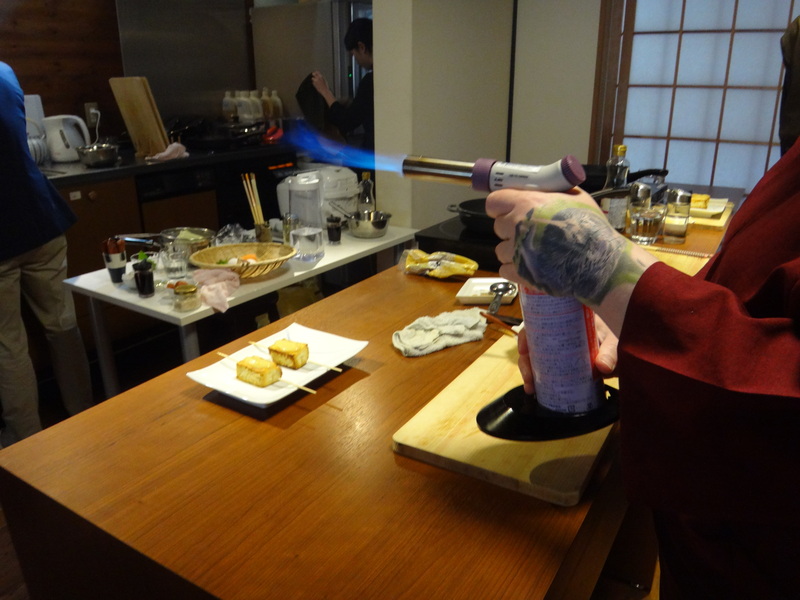 Our hosts were lovely – see more at Cooking Sun and/or book at GoVoyagin! If you’ve followed my blog (please do!) you will know I photograph animals. A lot of animals. 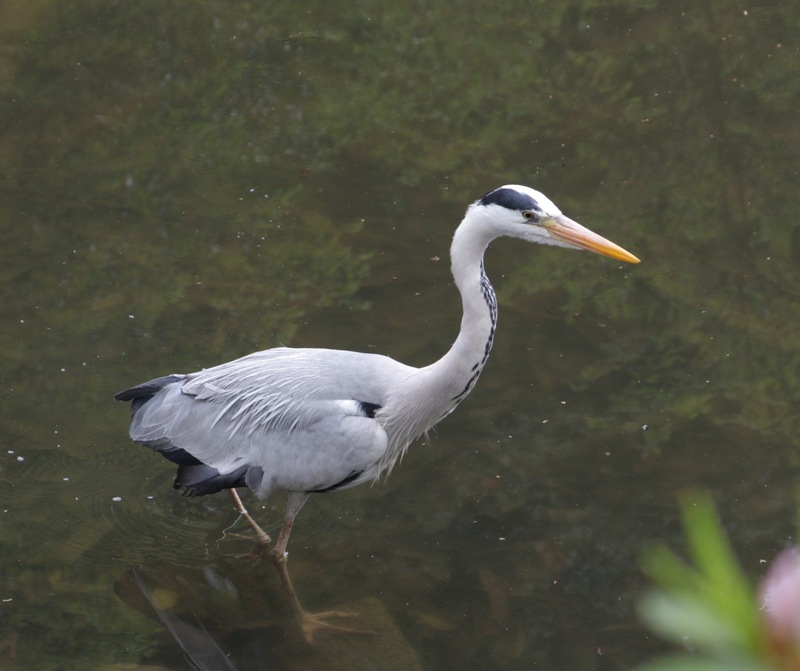 So when I got this chance to get close up to a beautiful wild heron (using my standard zoom – not even telephoto!) I took it. This first photo shows the detail of the plumage and subtle shades of colours. The second shot is the one I’d hang on the wall though. Waiting with just a little patience, the bird moved very, very slowly underneath a tree. 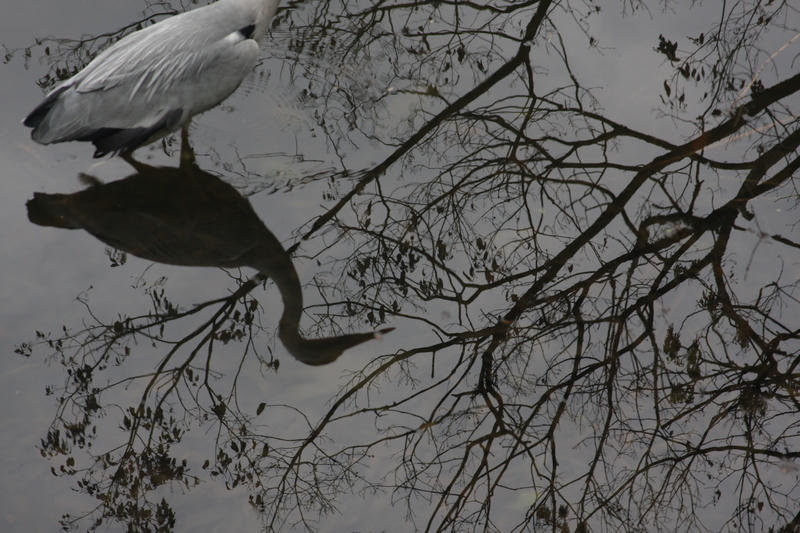 Because the crane was hunting, there were no ripples in the water. This was the last in a series of shots where the bird’s shadow was fully immersed in the trees shadow. 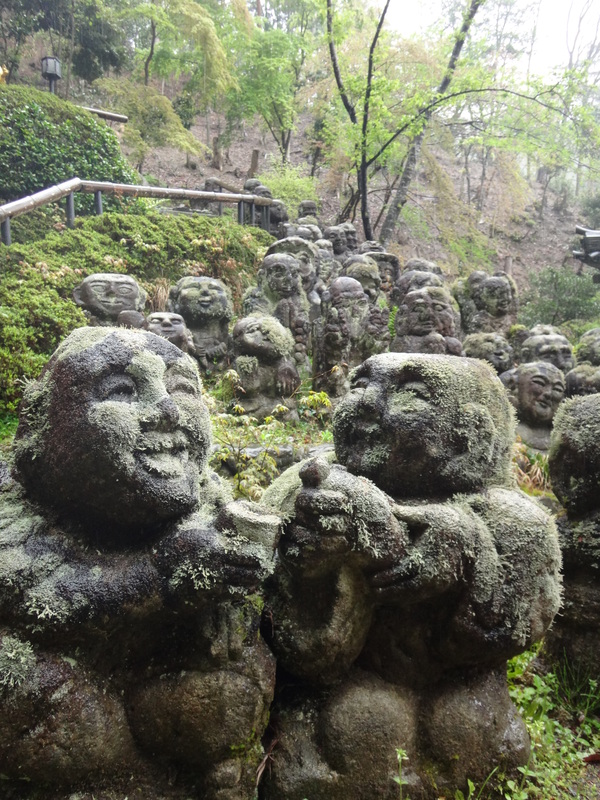 My tour guide took me to Otagi Nenbutsu-ji temple in Arashiyama near Kyoto and it really was one of the coolest temples with the added bonus that it is far, FAR from the usual tourist pathways (not a bamboo forest in sight). The temple has hundreds of these statues of rakan (Buddha’s disciples) and each has their own face, clothes and special detail. But I like the photo above for it’s simplicity. 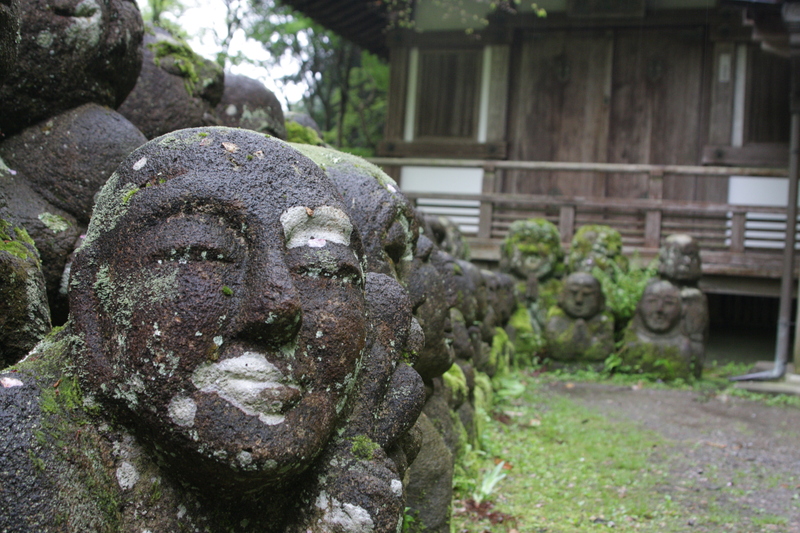 The statue’s face is serene and the discolouration gives it an unusual twist. Perhaps he’s sinister, perhaps he’s exotic, maybe he’s just watching YOU! Who knows? He could be whatever you want him to be. The two guys below are a different world away. Sharing a drink (probably sake?) and having a great time. I luuuuuvvvvv markets. 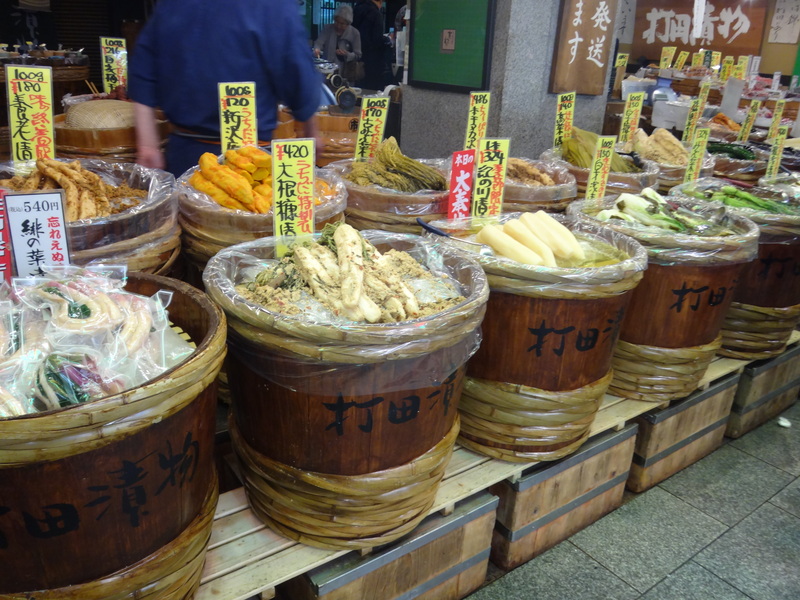 I’ve been to markets on at least 4 continents and when I was in Kyoto and heard they had a FOOD market, it was a must see destination for me. 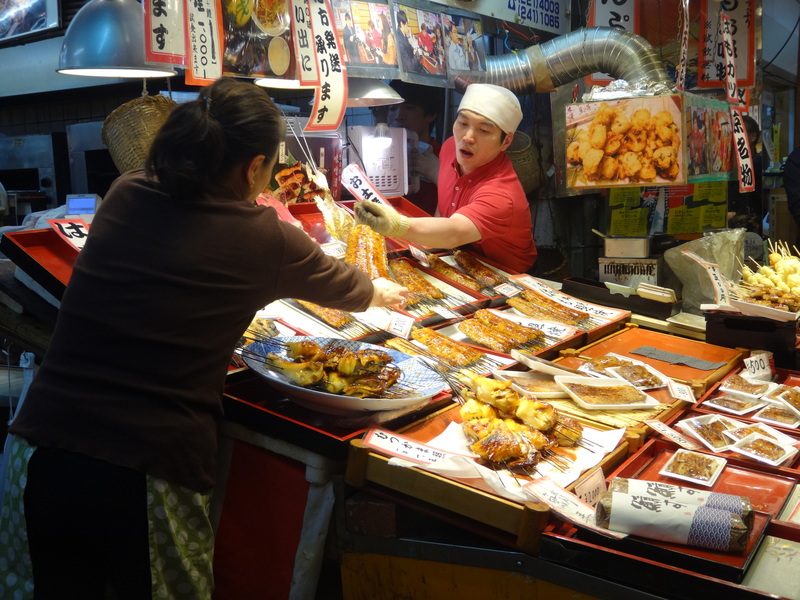 These two photos show two different aspects of markets. The first is the gorgeous eye candy displays. Displays like these are wonderful for photography not to mention the foodie inside me. However, I have come over the years to be brave enough to photograph the scene in the second photograph – the action that brings the market to life. While the barrels form a pleasing composition – slightly at an angle leading your eye towards the bottom left – and add lovely texture with the dark wood and the rope wrap; the interaction of the vendor and buyer capture a moment that encapsulates what markets mean! My first time in Japan and I hit it smack dab between the Cherry Blossoms and the Iris blooming seasons. 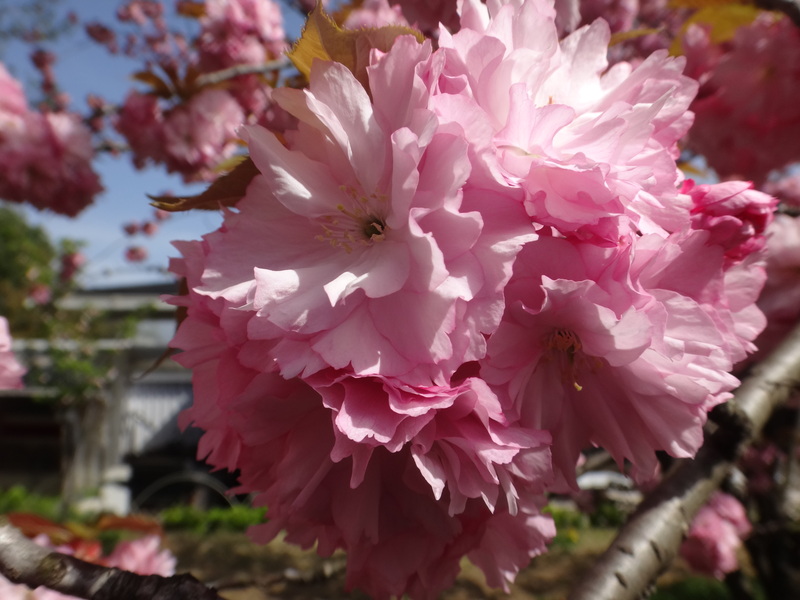 I was lucky to find these late blooming cherry trees in the Kyoto Botanical Gardens. I like this photo because you can often get lost trying to photograph a whole grove of cherry trees, but this close up shows the pom-pom like nature of the cherry blossoms – their texture and their rich colour up close. 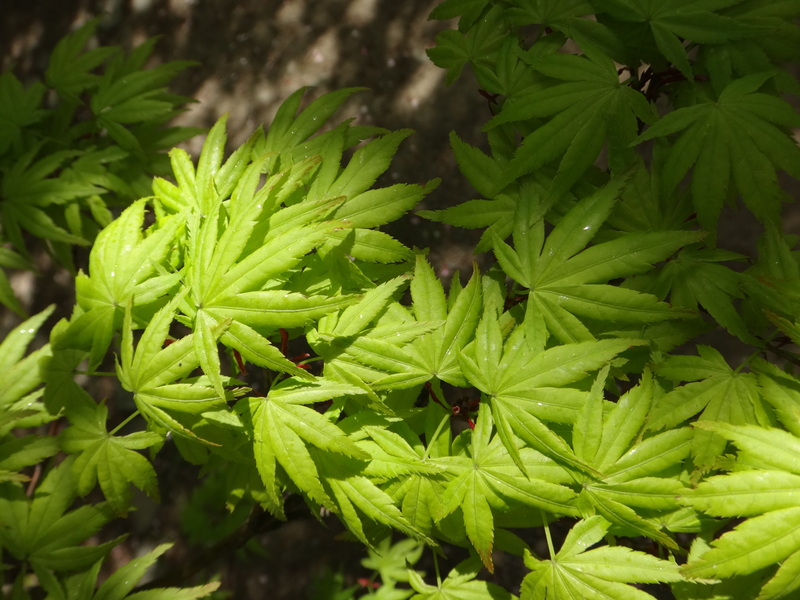 Spring in Japan really did mean celebrating the green of the maple leaves. And when you get the light just right, they have a beauty all their own. That’s about it. Ok, let me elaborate and throw in a few tips for those budding wedding photographers. 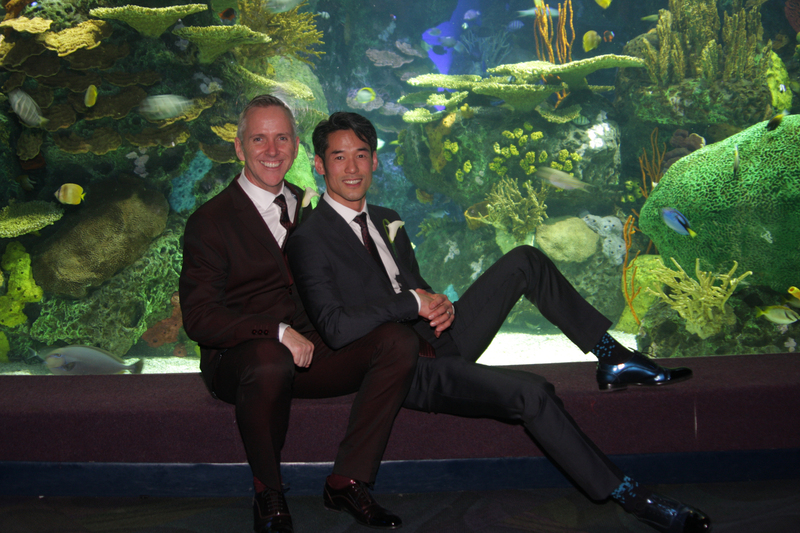 My friends decided to get married in a really cool venue (aquarium) who had never hosted a wedding before. They then decided to ask a couple other friends if they would do the photos. I was meant to be the backup photographer. That’s how it all started. Get ready, here comes the tips! Tip 2 Make friends with the event coordinator. Best friends. She is going to be your new BFF. The one who will let you in all the back hallways so you don’t have to walk the whole bloody place too many times. And she is the one who is going to get you permission to go where only the keepers go to get that one shot the couple really wants. Plus, how cool is it to be on the catwalk of the shark tank only 4 inches away from the huge animals?! They don’t jump, do they? Tip 3 Hump the equipment. It’s tempting to slim down your kit because you will be walking that entire place at least twice, if not 3 or 4 times, but you are going to need it. Flash for sure and I wouldn’t say no to a tripod. Tip 4 Dont wear a dress. Granted, I was also a guest at this wedding, so I did dress up a bit in a fairly short dress. So there I was, kneeling down to get a shot during the ceremony and braiding myself to steady the camera as there was no room for a tripod and realised how short the dress was. Tip 6 don’t sweat it. It will be what it will be. You’ve just been asked or hired to do an extremely difficult shoot with little to no prep. You will do your best. And as your mom always said that’s really all anyone can ask (unless they are the bride). 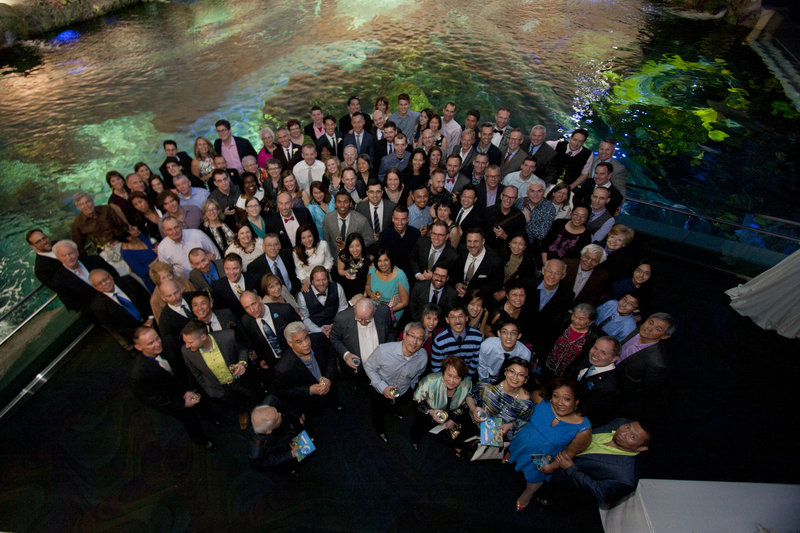 The group shot – honest, there were sharks in the background water. This shot did require considerable scoping out before the event as well as the widest lens I could find, a fill flash (needed a more powerful one), and a tripod. There’s the fish! My friends were good enough to stand there for a number of test shots so that I could figure out the exposure for the silhouettes, checked the right fishes were swimming by and then held the pose for the long exposure. Just so you can see the faces. Similar to the one above but I also had to hide the flash in the glass. This made carrying the 5? 10? 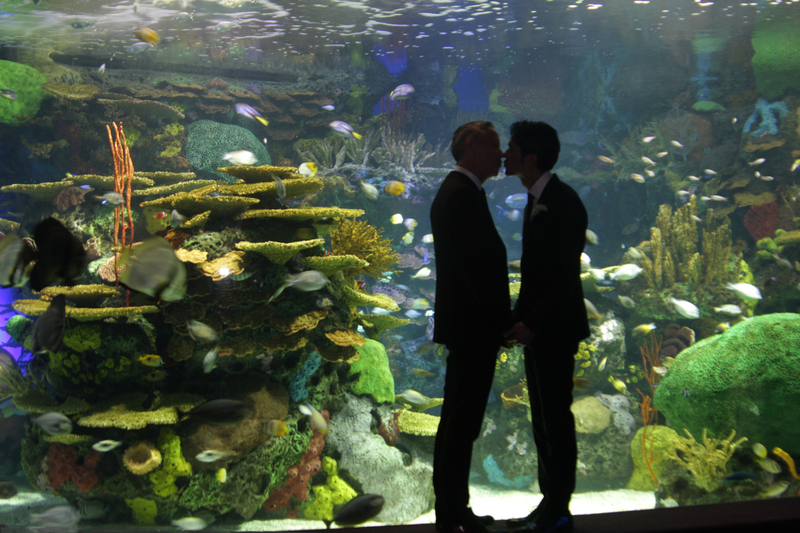 pounds of equipment through the aquarium in my dress all worth it. Type your email address in the box below and hit the button to get a little, non-threatening email when I share new stuff.